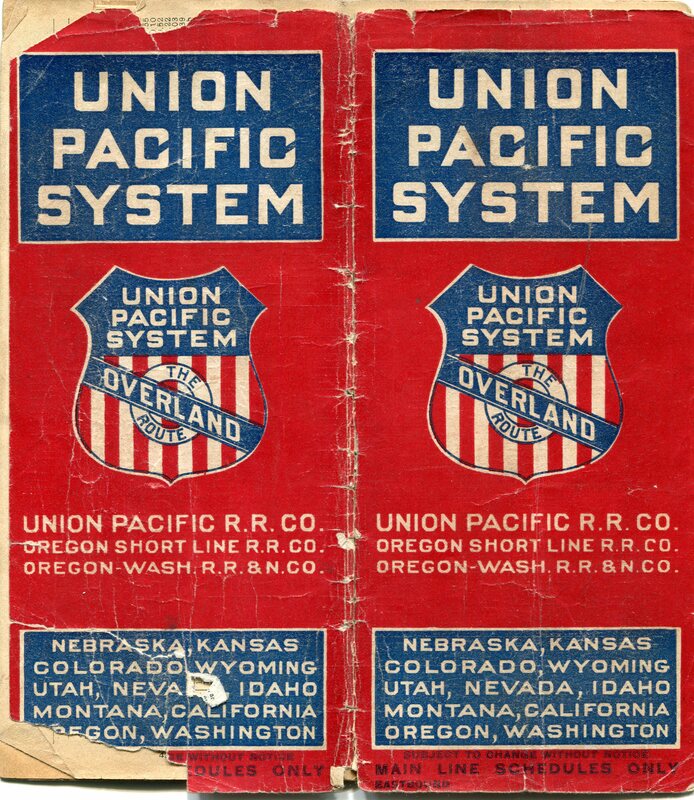 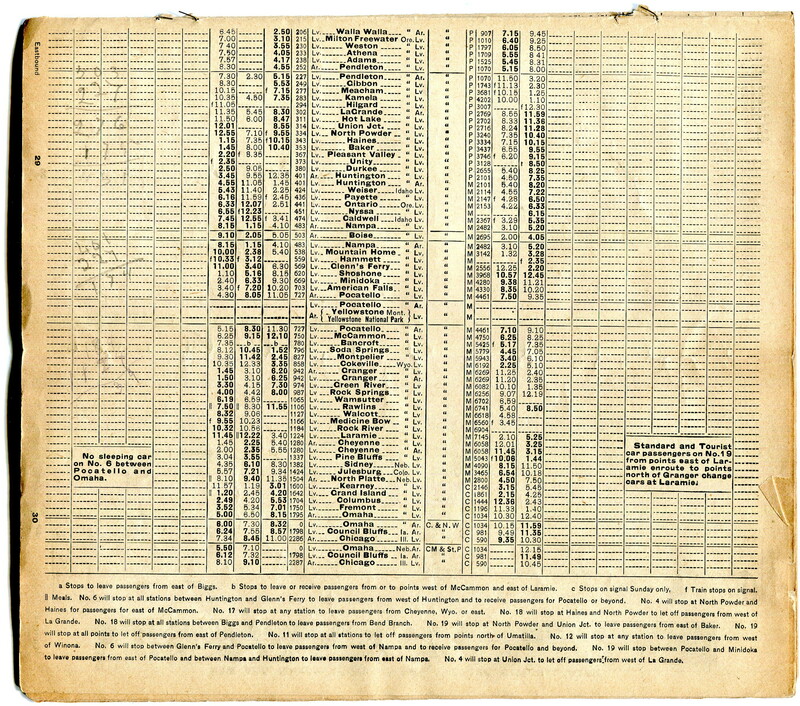 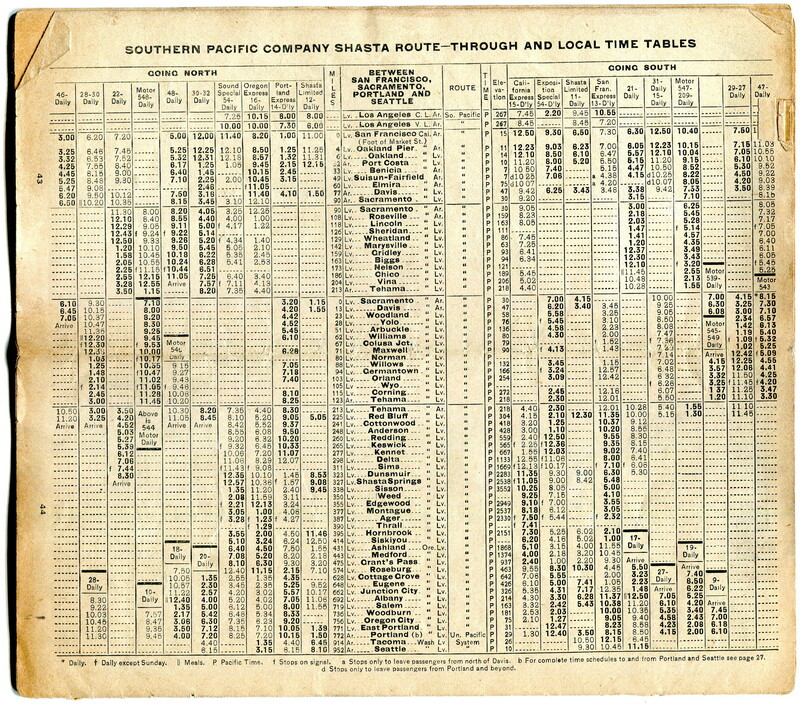 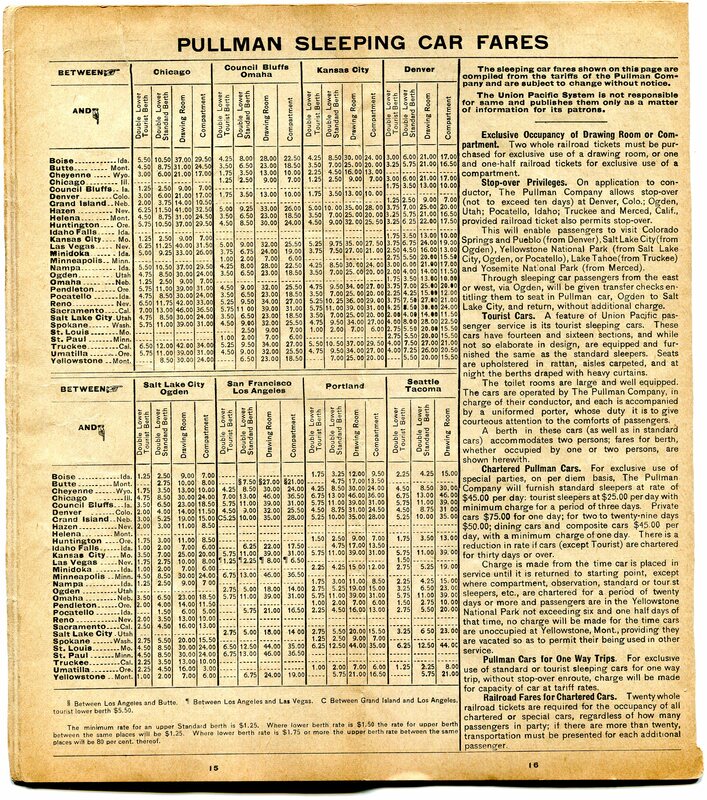 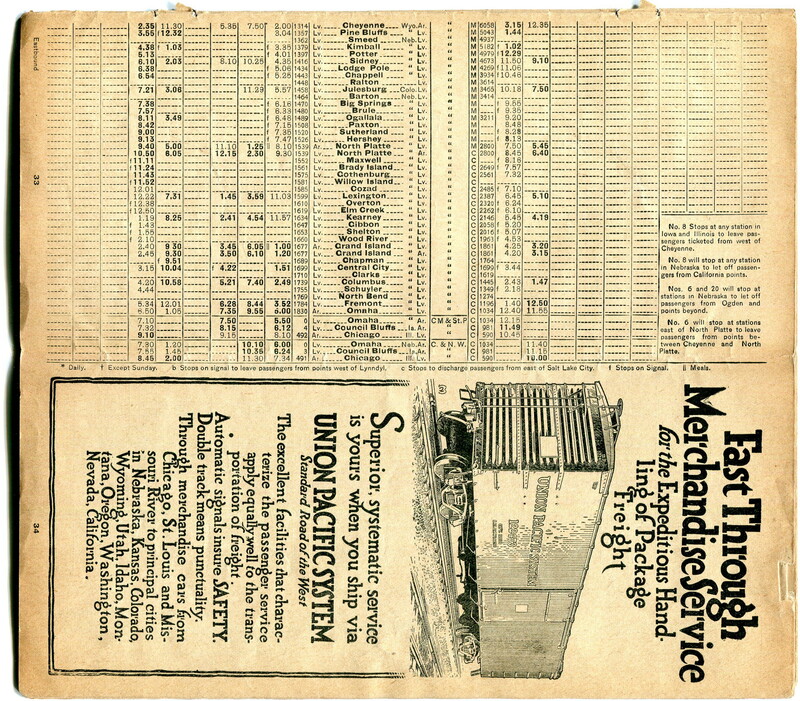 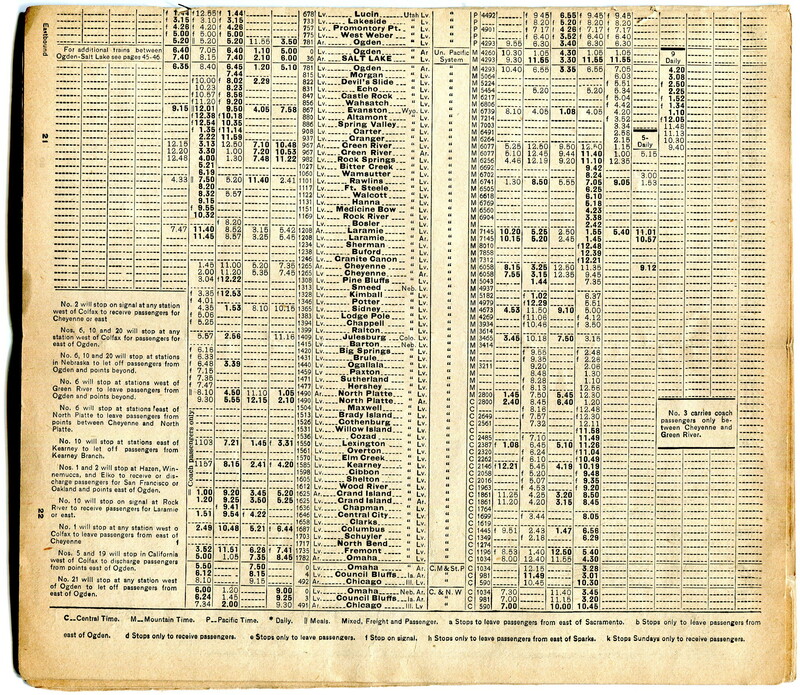 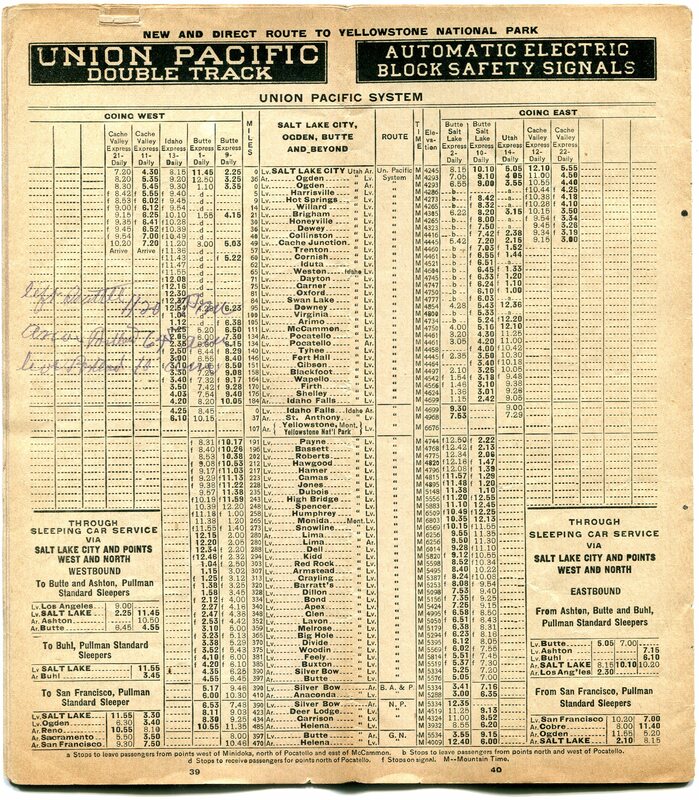 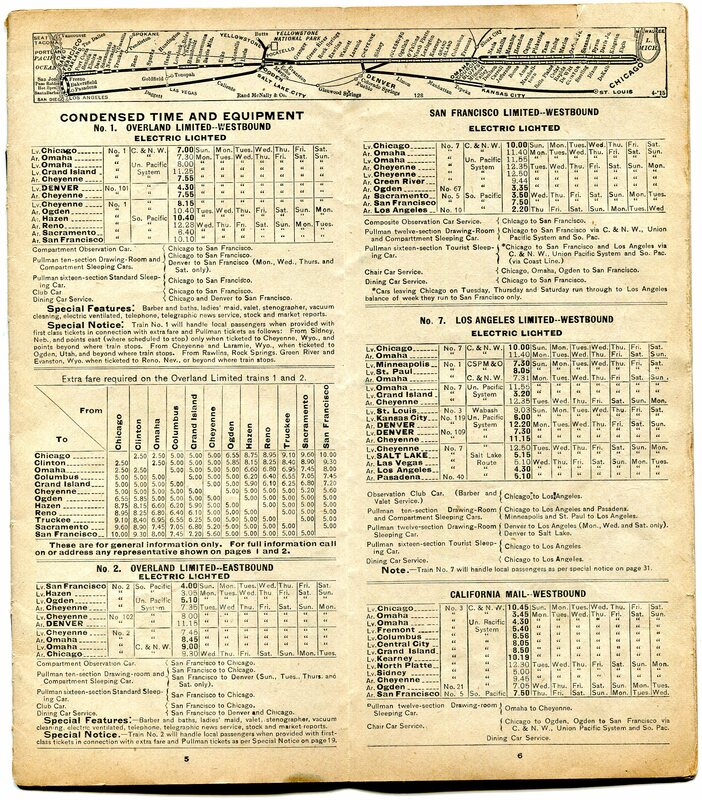 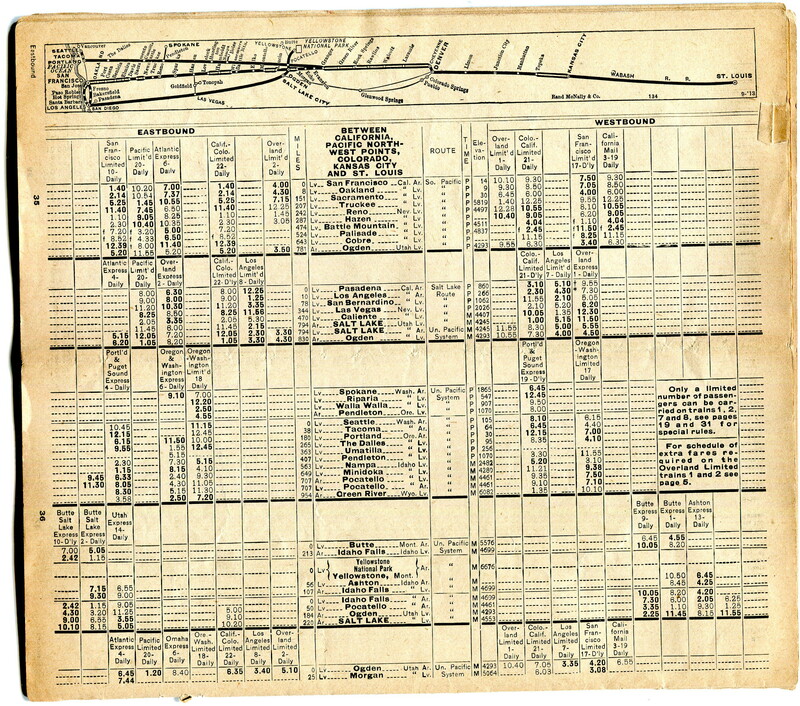 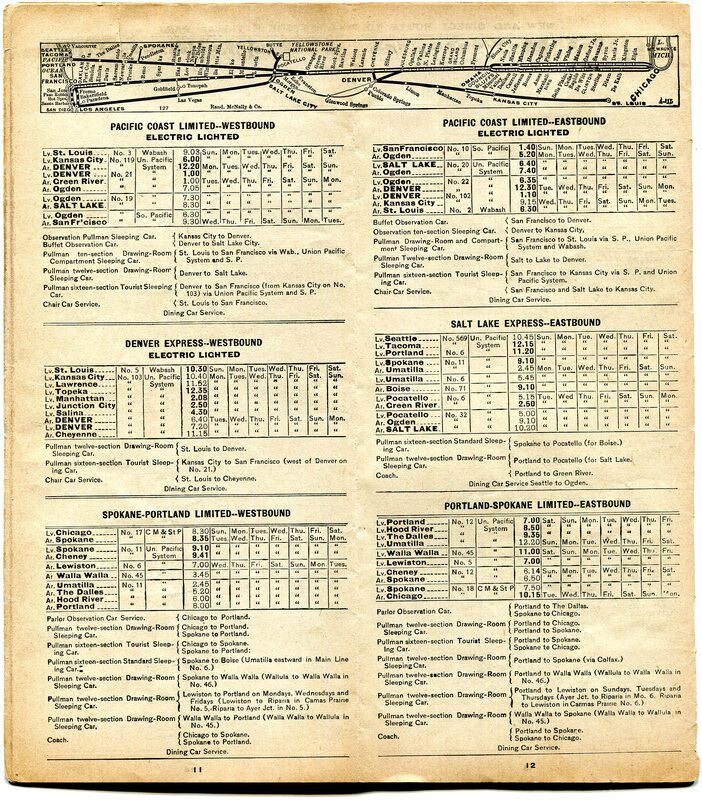 This 1915 timetable was acquired for this project but arrived incomplete with several pages missing. 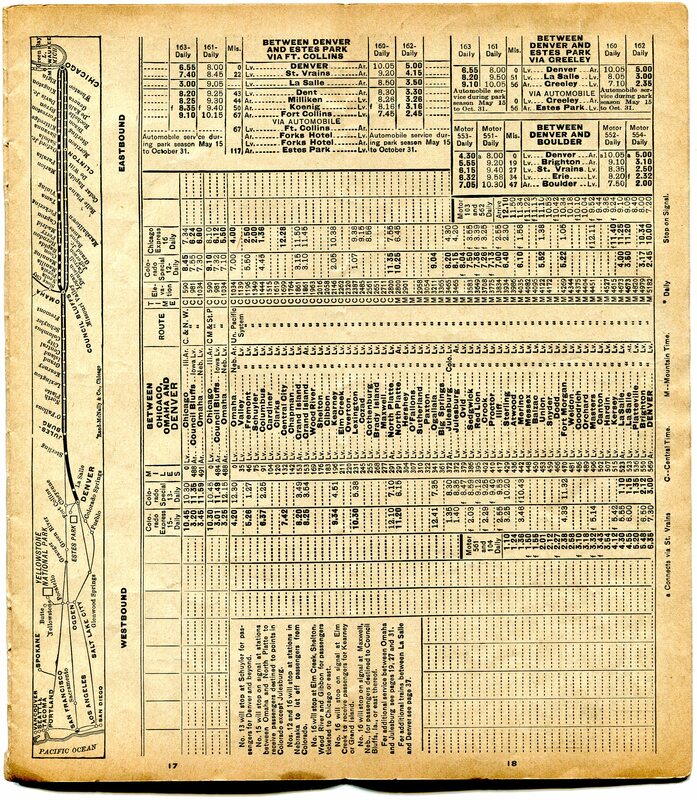 It was decided to present this document until a complete document is found. 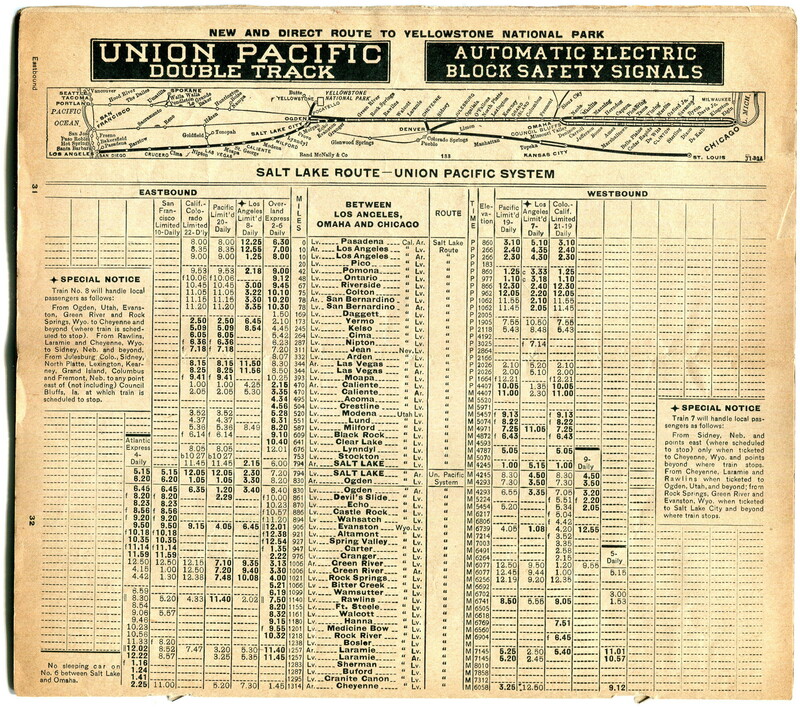 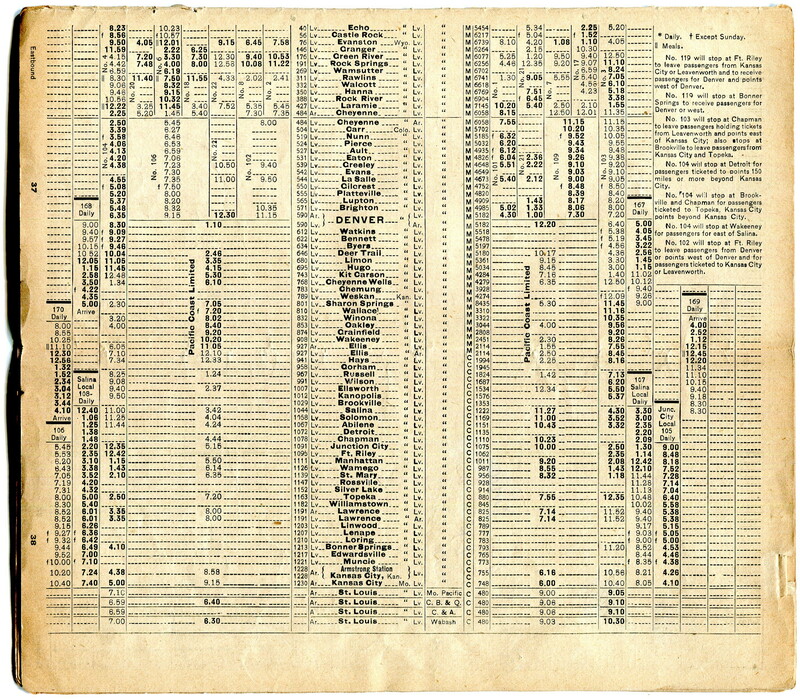 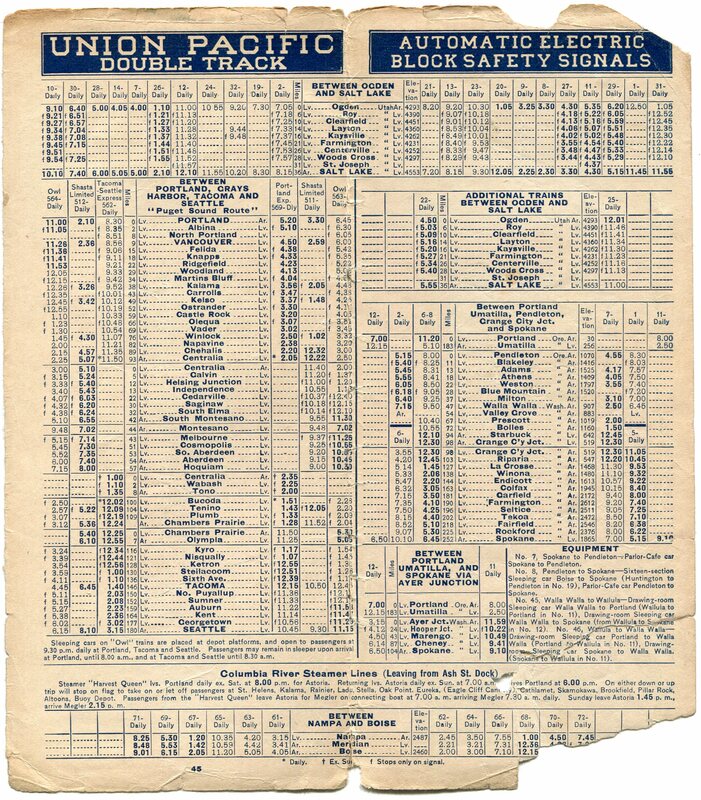 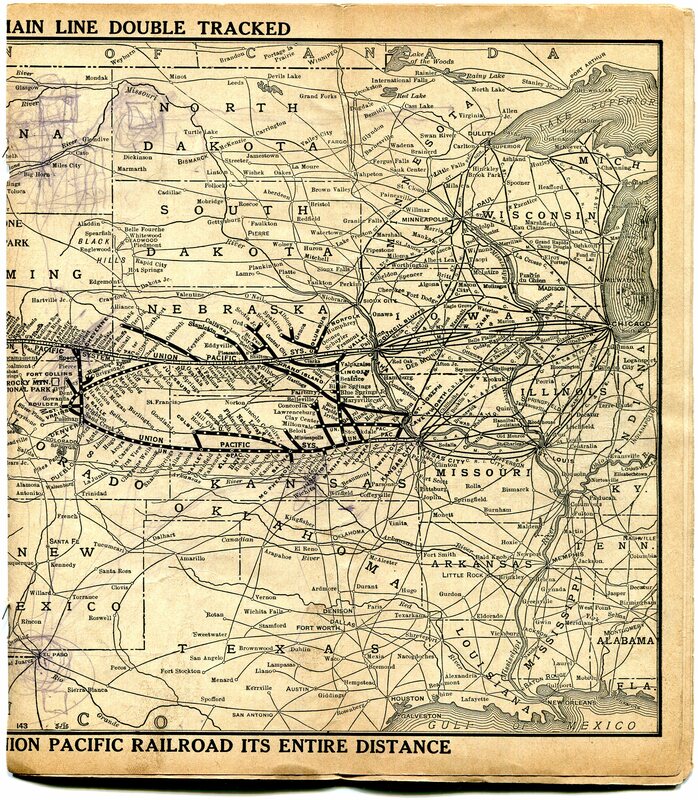 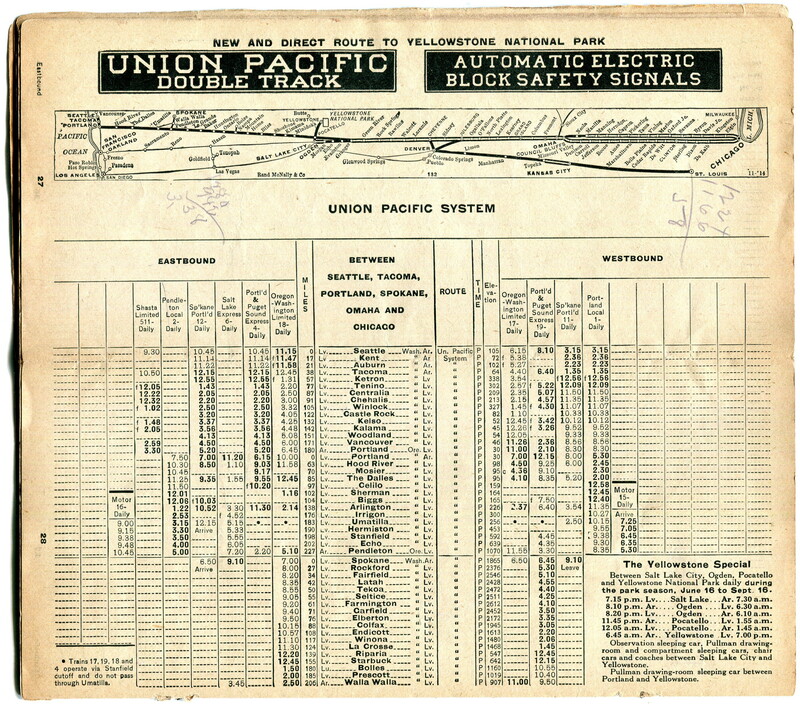 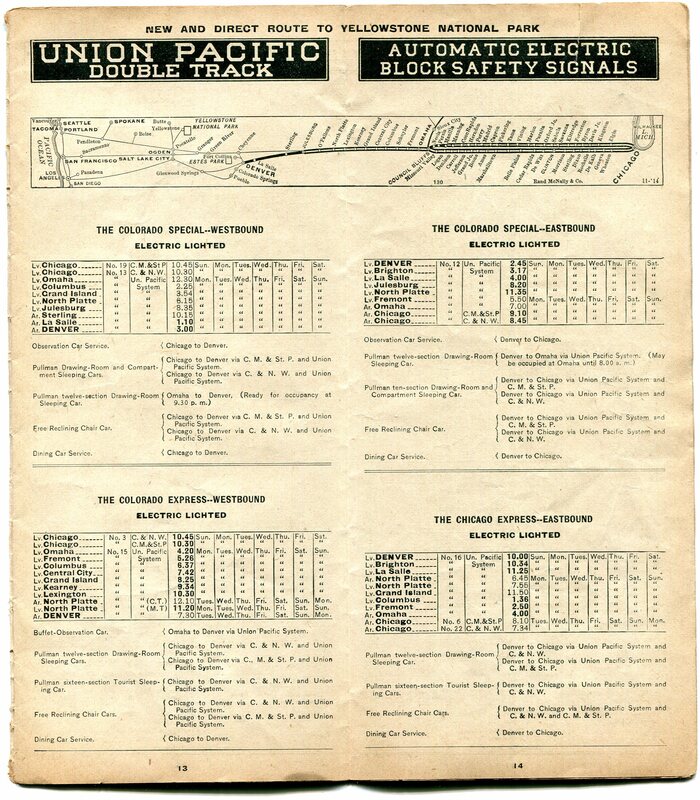 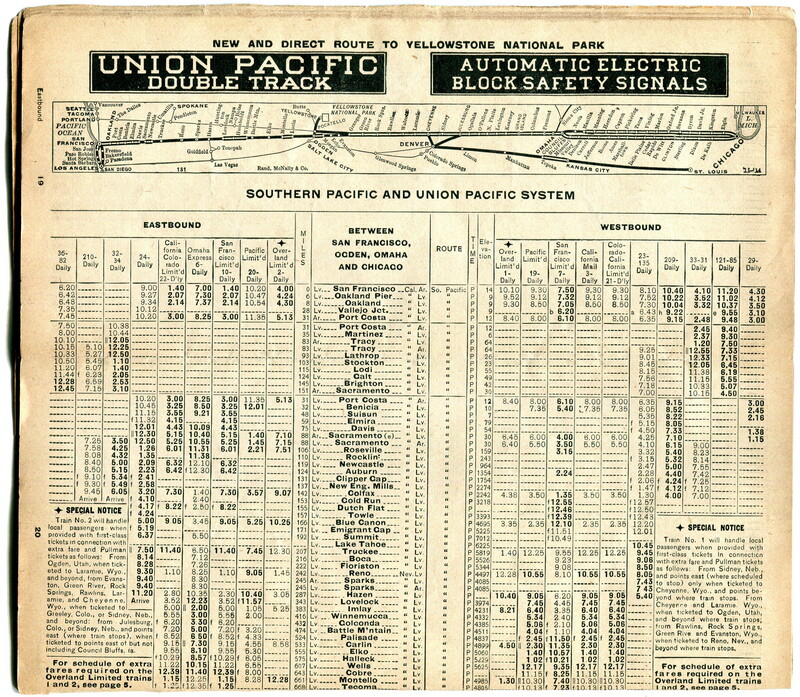 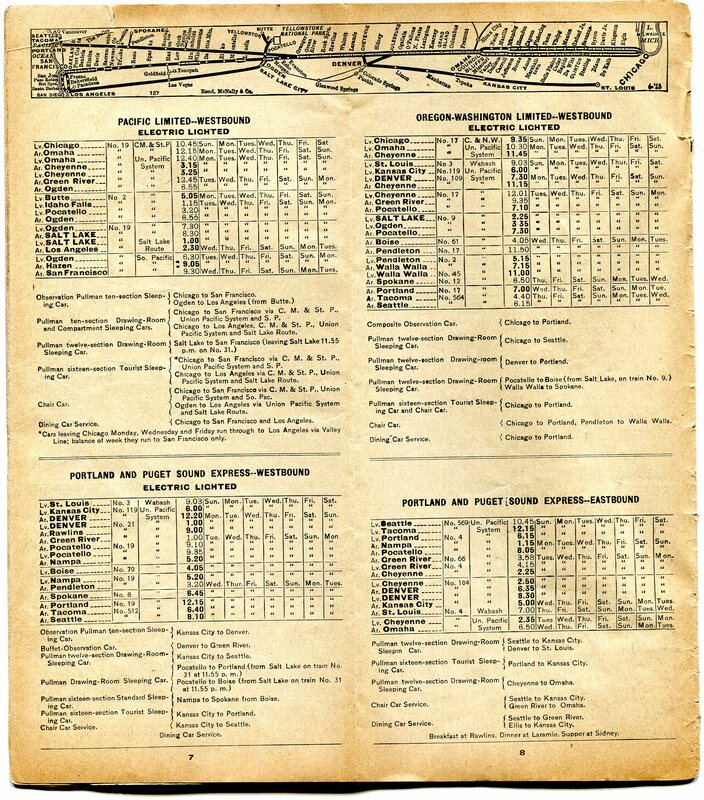 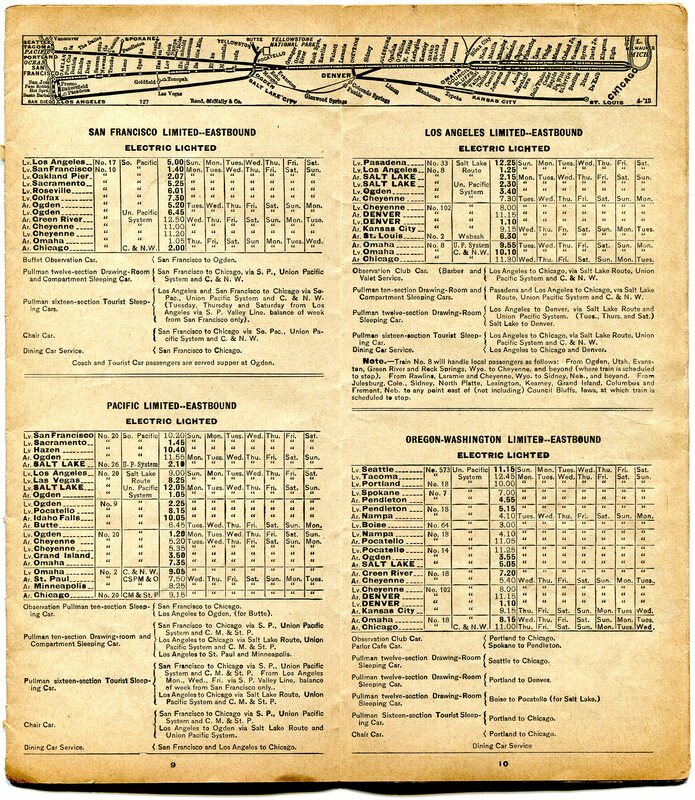 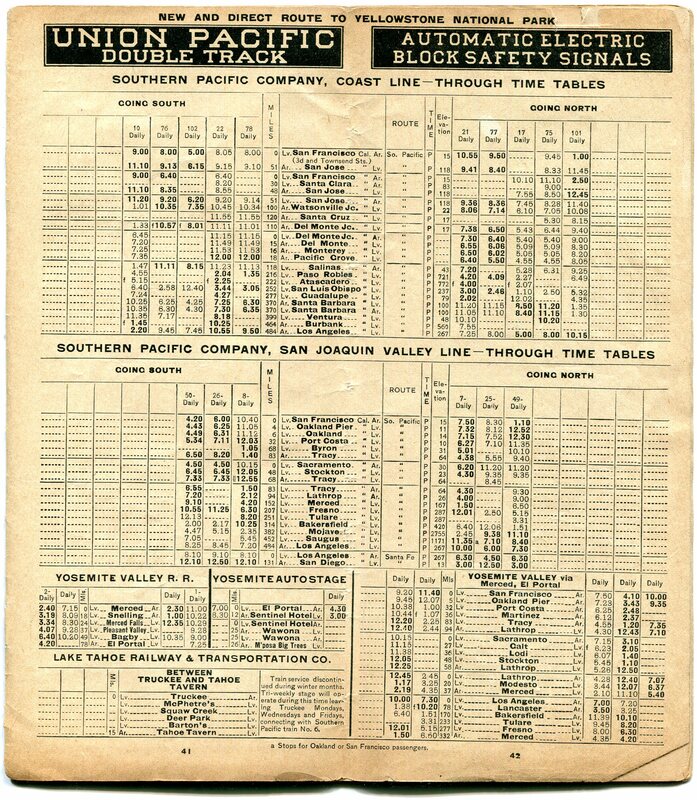 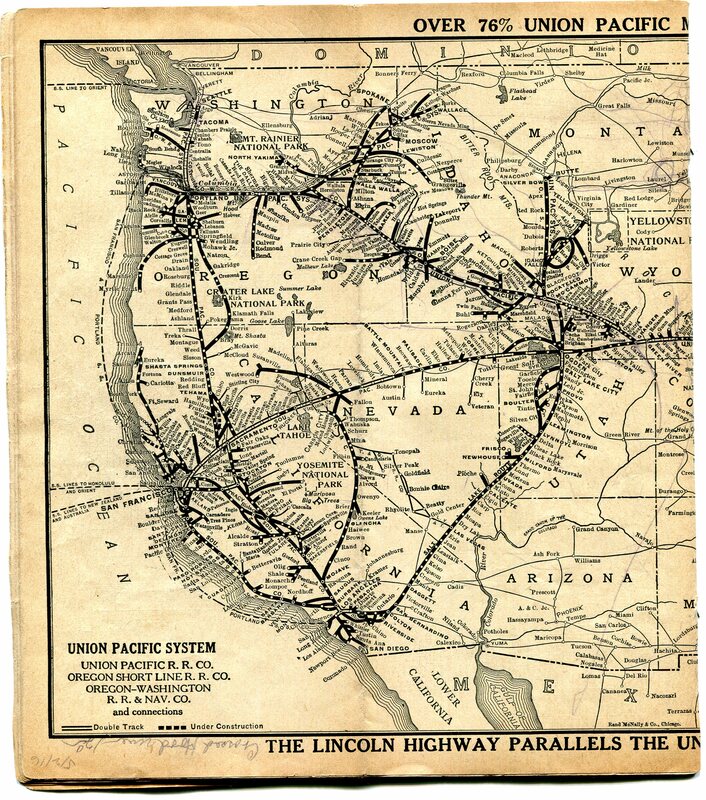 Timetable shows both the C&NW and Milwaukee Road connections from Omaha to Chicago.